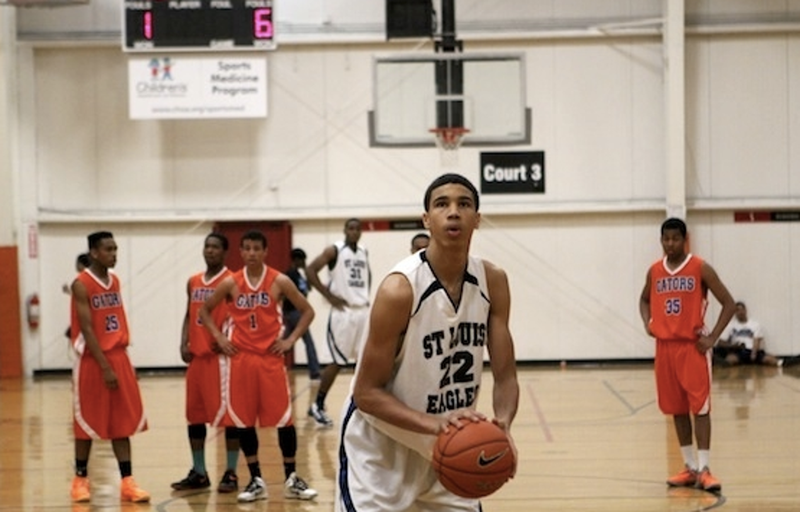 When it comes to EYBL talent, it doesn't come in a package much better than Jayson Tatum. The rising junior is one of the most versatile players in the entire league and will be a focal point for the St. Louis Eagles in each and every game. One would think being ranked in the top five by every major recruiting outlet would lead to intense pressure, but you wouldn't have any idea by watching Tatum play. Alec Kinsky: What are you looking forward to most about playing in the EYBL? Jayson Tatum: Most of all, really just going out there and competing . Playing a year up and against the best competition is tough. AK: What aspects of your game are you looking to improve in the EYBL? JT: Things like [being] quicker off the dribble, rebound[ing] more and becom[ing] more effective on defensive end. AK: At what point did you realize basketball was more than a hobby, and that you could use it to help you get through college? JT: I was always pretty good around this area, but when I was in 8th grade is when I started to realize I could play with the top guys in my class. AK: How is the chemistry with your St. Louis Eagles teammates? Do you think you fellas are gonna need some time to gel? JT: We're getting there. Half our team is 16, so we can't worry about points and who the other team has, we just need to worry about us and play hard. AK: Which player are you most looking forward to match up against? JT: Guys in my position like [2016 ESPN No. 2 recruit] Josh Jackson and [2016 ESPN No. 6 recruit] VJ King, guys like that who really make you elevate your game on both ends. AK: Which of your teammates do you think is set for the biggest rise/breakout this spring? JT: Probably Jordan Barnes or Quentin Goodin. AK: Which city are you most looking forward to visiting this spring? JT: Sacramento, because I've never been to California.